Photos remind us of certain times, people and events or occasions. Nowadays, smartphones are equipped with better cameras which greatly push us to capture the beautiful moments with phones. Undoubtedly, we have more and more photos on our phones which really occupy a huge space of the phone. 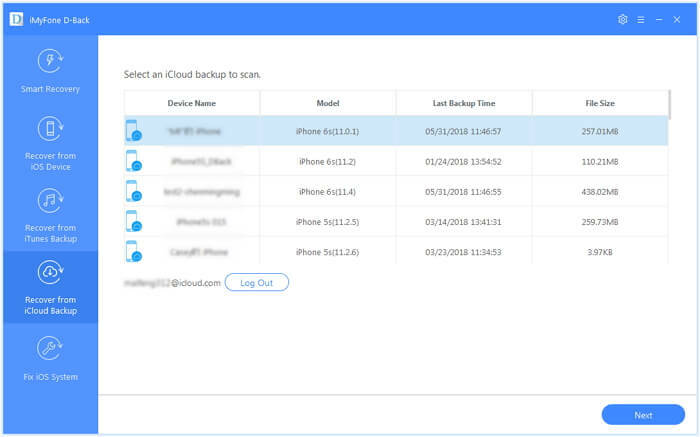 For iPhone users, most of them like to create a backup of the photos on iCloud to keep them safe and save space on iPhone. If you are one of them, you should know how to access and view the photos on iCloud. Here are 3 ways for you to access iCloud photos. Read through this article to know how. One way of accessing or viewing iCloud photos is visiting icloud.com. If you have enabled iCloud to backup your photos, you can easily view your photos following the guide. Step 2: On your iCloud account, you are able to see iCloud backup files like photos, mail, pages, numbers and others that can be recovered. Find photos folder and click it to access it. You are then able to view your iCloud photos on your iCloud backup. 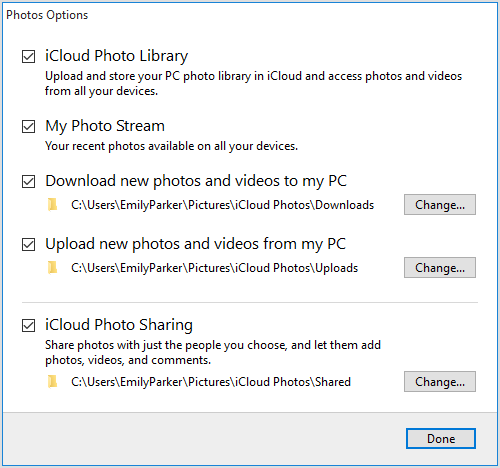 If you are using Mac or have downloaded iCloud software on Windows, there is another way to access photos on iCloud. Before we start, here are few things you should do in advance. 1. Make sure you have enabled iCloud Photo Library on all device. On iPhone/iPad running iOS 12/11, go to Settings > Your Name> iCloud > Photos and turn on iCloud Photos. On iPhone/iPad running iOS 10.3/9/8, go to Settings > Photos & Camera. On your Mac, go to System Preferences > iCloud > Options (next to Photos) > iCloud Photos. 2. Make sure you are using the same Apple ID for all devices. If everything is okay, you will then be able to view iCloud photos on PC/Mac. iCloud Photos for Mac will keep the photos in iCloud and display in folders. 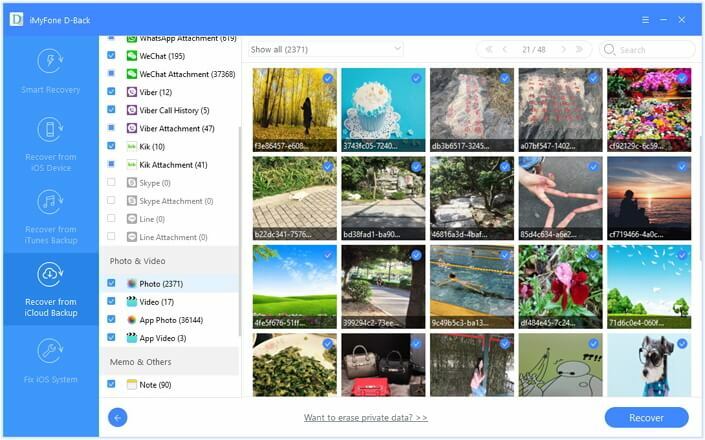 For Windows users, just open the File Explorer and find iCloud Photos. Then click Download button to get all iCloud photos for viewing. Sometimes you may not be successful trying to view iCloud photos, sometimes for network error, sometimes for not settting up iCloud Photos Library, sometimes for disabled iPhone and cannot login in iclou.com, or whatever reasons. But you need not to worry. 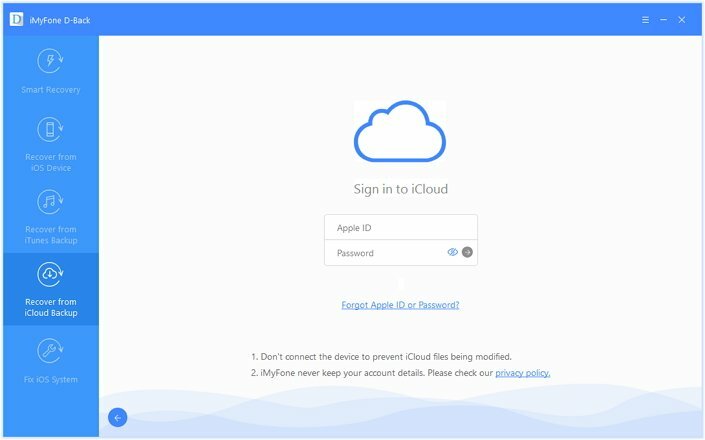 You are able to access your iCloud photos and store them on your computer with a third-party tool, iMyFone D-Back software. This can directly access your photos stored on iCloud without using your iPhone/iPad. It extracts iCloud data without using iPhone/iPad. Only the Apple ID required. 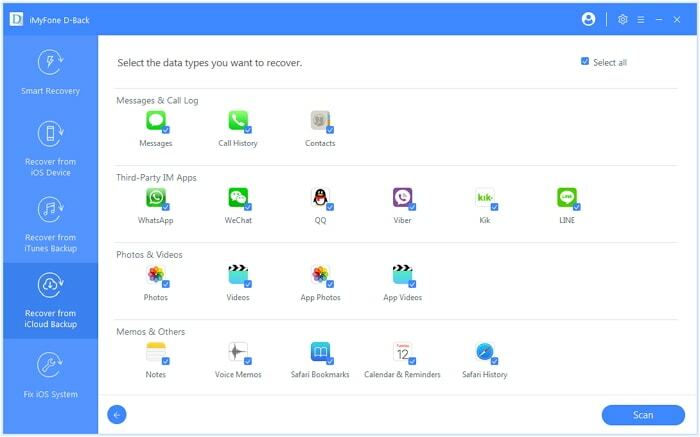 It supports to view up to 18+ types of data including photos, messages, notes, contacts and more. It provides preview function. You can preview the photos and selectively choose the data you want before you export them. It can also read and access device library and iTunes backup. Fully compatible with iPhone XS/XR/X/8/7/6/6s/5, iPad and iPod running iOS 12/11/10/9. iMyFone D-Back lets you access and view various files including photos with the following steps. 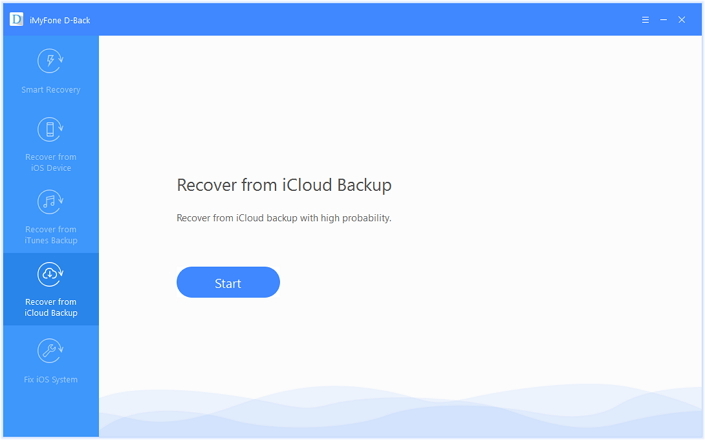 Run iMyFone D-Back program on your computer then choose " Recover from iCloud Backup" option. Then click "Start" button. You need enter your iCloud account information here, then the program will start downloading the backup files. iMyFone D-Back promise that they will not record any of your account information. From the list of backup files on your iCloud , select the backup file with the photos you want to access, then click on "Next" button to continue. From all the data types shown on the next screen, choose "Photos" then the data exporter tool will begin to scan the selected data. When scanning is complete, the photos will be shown on the interface. Preview the photos and mark on the ones that you want to view. You can also export the iCloud photos to PC/Mac. iMyFone D-Back (now compatible with iOS 12) is a helpful software that allows you to access your photos and many other data on iCloud and you will be able to view them at any time since you can export and store them on your computer by iMyFone D-Back data exporter. Download now and have a try!